Recently, there has been an increase in the amount of tree infestation and infection treatment failures. Despite this, Elmsavers has continued to provide high quality care – and successful treatments – to customers in the areas we cover. There are many things to consider when a tree becomes afflicted or infected and needs treatment. Of all the difficulties faced when treating a tree, one of the most misunderstood is the factor of climate. 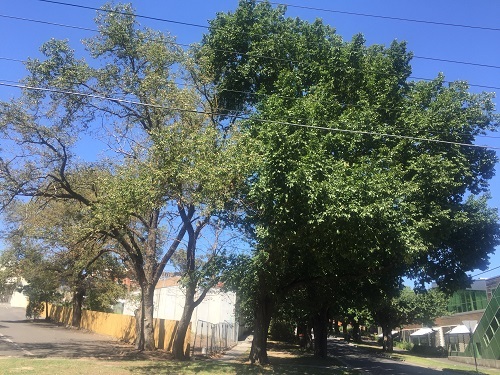 Australian trees are facing standard tree injection treatment failure due to climatic conditions, and that means one thing: you can only rely on the most experienced professionals to attain successful treatment. To the right, you’ll see Elm trees successfully treated by Elmsavers on November 5th 2015. This is part of our ongoing treatment program for the Shire of Yarra Ranges. 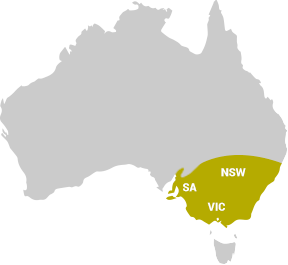 So far in 2016, we have been achieving great results in Lillydale and many other locations around Australia. Climatic conditions do not deter Elmsavers. Why? Because we have 20 years of experience in elm leaf beetle and 34 years experience in plant health, we have weathered such obstacles time and time again. Our experience provides multiple options for treatment that are not available elsewhere. A sensible approach is needed before engaging treatment, and we provide that. We’re mindful of every single factor related to the potential outcomes of our work. It’s not only money that is wasted when ineffective techniques are utilised – the health of the tree also suffers. For dedicated service in the face of every condition – including climate – Elmsavers is your best choice. We are committed to seeing your trees to recovery, and have the decades of proven experience necessary to make good on that commitment.